What kind of guest book are you considering for your wedding? There are many different ways to commemorate your wedding. From a traditional book, to postage-paid postcards with notes from your guests, to a whimsical poster that your guests can sign to be framed….. Here is one that I recommend! 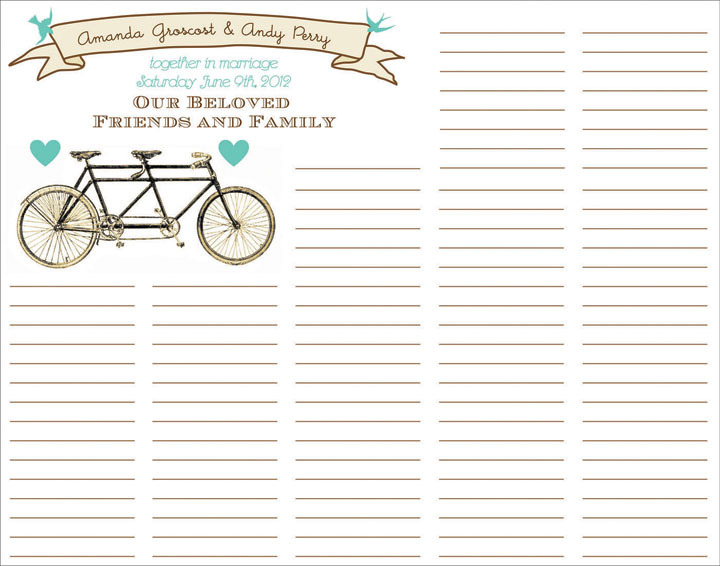 It features a whimsical, vintage tandem bike, hearts, and a banner with flying birds. Purchase this poster in my Etsy shop here.